Overunder at the abandoned Atlanta Prison Farm. Photo by RJ Rushmore. The internet also offers an opportunity for artists to work in abandoned places or parts of town without street art fanatics without sacrificing artistic integrity or the potential for critical and financial success. Abandoned spaces allow artists also serve as great practice spots or spots where you can paint undisturbed. 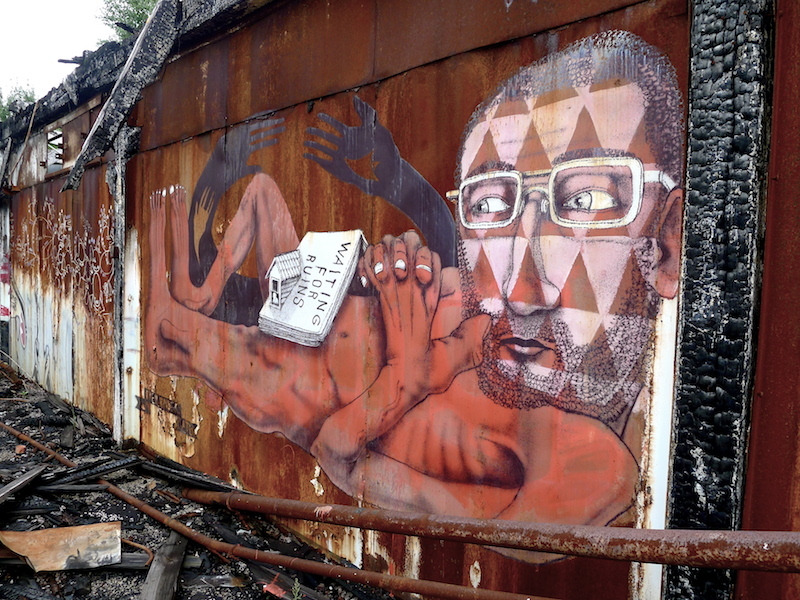 Some artists have used the freedom of abandoned spaces to spend hours or days painting illegal projects that would be impossible in more populated areas. Other artists go to areas rarely visited by their fans to take photographs and use their art to convey a wider social message when the work is seen through photographs. Still others want to work in these spaces to bring art to an audience that would otherwise have limited access to street art. And, of course, Banksy has used these opportunities to make a joke or two. While it was once necessary for street art to be located in places where fans would see it in person it was to help the artist’s career, artists today can paint wherever they would like. In addition, odd locations can sometimes bolster an artist’s popularity.